Below is a partial list of products developed and utilized by Fauske & Associates, LLC made available to our customers. Please also visit our on-line store. Critical process safety and thermal stability parameters (TMRad, SADT, etc.) can be determined quickly and reliably from a modest amount of calorimetry data by using AKTS-Thermokinetics software. This software utilizes an advanced differential isoconversional kinetic techniques for the precise modeling of runaway chemical reactions. From just a few Differential Scanning Calorimetry (DSC) tests, run in either dynamic or isothermal mode, model-free kinetics can be extracted. The model-free kinetics can then be used to predict reactivity of varying quantities of material in different thermal environments. Verification of the model can be completed by a comparison of the measured and calculated reaction profiles, either rates or conversion, under both non-isothermal and isothermal conditions. Further validation can be performed using a single adiabatic calorimetry experiment. AKTS-Thermokinetics software package facilitates kinetic analysis of DSC, DTA, TGA, and TAM data for the study of raw materials and products within the scope of research, development and quality assurance. Fauske & Associates, LLC (FAI) has experience utilizing AKTS-Thermokinetics software for kinetic analysis and is and also an authorized distributor. 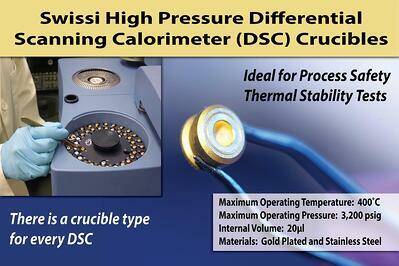 See our Thermal Stability page. Fauske & Associates, LLC's (FAI) Advanced Reactive System Screening ToolTM (ARSST) is a low thermal inertia calorimeter used to obtain critical upset process design data. FAI offers the ARSST along with options for customization such as a high-pressure vessel and flow regime detector, as well as commonly used items such as test cells, heaters, glands and thermocouples. At FAI, we not only utilize the ARSSTTM in our fully equipped hazards laboratory but we also manufacture and sell the calorimeter for use by our clients. The ARSSTTM is based on DIERS two-phase methodology which is recognized by OSHA as an example of good engineering practice. 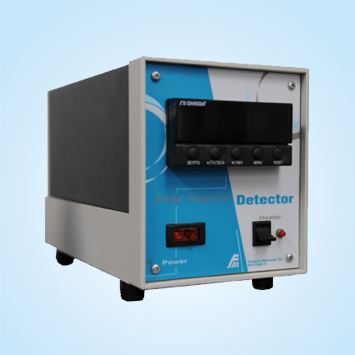 This easy-to-use device is also capable of generating low phi-factor data for DIERS vent sizing and is an excellent tool for industry as well as any university engineering lab for research or unit operation studies. 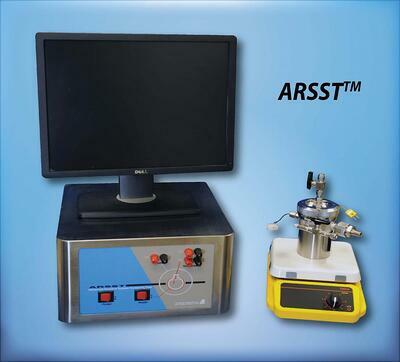 ARSSTTM tests are used to model such upset scenarios as loss of cooling, loss of stirring, mischarge of reagents, mass-loaded upset, batch contamination and fire exposure heating. This easy to use and cost-effective calorimeter can quickly and safely identify potential reactive chemical hazards in the process industry. ARSSTTM data yields critical experimental knowledge of the rates of temperature and pressure rise during a runaway reaction, thereby providing reliable energy and gas release rates which can be applied directly to full scale process conditions. 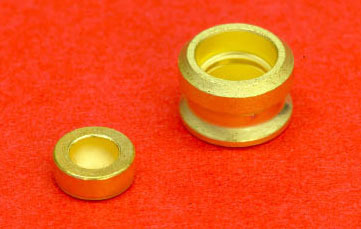 The ARSSTTM typically utilizes a sample size of 5-10 grams in a lightweight glass test cell with a volume of approximately 10 ml. The test cell is outfitted with a belt heater (used to heat the sample through a preprogrammed temperature scan) and then installed in 350 ml containment vessel. Tests are typically run using open test cell methodology. In this test configuration, the test cell is vented to the containment vessel. 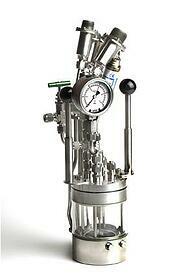 Volatilization of the test sample is prevented by imposing an inert backpressure on the containment vessel. 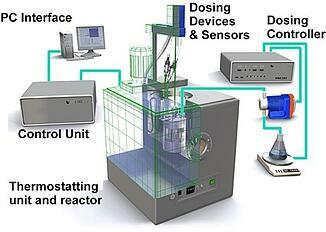 The ARSSTTM enables users to quickly obtain reliable adiabatic data which can be used for a variety of safety applications including characterization of material compatibility, thermal stability and reaction chemistry. Test data includes adiabatic rates of temperature and pressure change which, due to the low thermal inertia, can be directly applied to process scale to determine relief vent sizes, quench tank designs and other relief system design parameters related to process safety management. The C80 is a reaction, thermal and scanning calorimeter that operates like a larger version of a DSC which accommodates a larger sample size and bigger test cells - 10 ml test cells, as opposed to 20-50 µl test cells. This is especially advantageous when dealing with heterogeneous or multi-component samples that come in and are not uniformly mixed and cannot be uniformly mixed (think different colored M&Ms) as the larger size allows a more representative sample to be tested. The C80 is a fantastic addition to our toolkit here at FAI as it nicely complements other instruments in our lab and enhances the ability of our engineers to offer practical and customized solutions to unique process safety issues dealing with thermal hazards and thermal stability. When you are considering a provider for your own process safety needs in this area make sure that they too have a robust toolkit with which to effectively address your concerns. The CPA or Chemical Process Analyzer from ChemiSens brings reaction calorimetry to the next level. 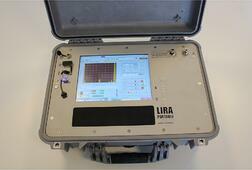 It is a complete, pre-calibrated, precision tool for analyzing chemical processes. The CPA202 retains the versatility of a laboratory reactor while including the techniques and measurements that are essential to effective process development. The absolute heat production from the process is presented on-line in real time without subjective interpretations of calibration pulses or unknown baselines. Everything from stirrer torque to condenser power is accounted for to give the truest measure of heat flow. 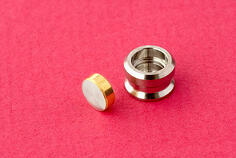 Reactors are interchangeable and a complete range of sensors and add-ons are available, and can be added at any time. Fauske & Associates, LLC (FAI) is the sole distributer in North America for ChemiSens Reaction Calorimeter systems and we operate one of the units in our testing laboratory for contract testing and customer demos. Please also visit our Reaction Calorimetry page. Using FATETM software, FAI can calculate temperatures, pressures, flow rates and compositions for fluids, gases and structures associated with waste management process D&D. It is uniquely suited to nuclear facility operations because it combines models for fluid flow and heat transfer with models for aerosol transport and deposition, explosions and fire. FATETM has been applied to dozens of United States Department of Energy (DOE) and commercial nuclear applications and its predecessor code was awarded a DOE Silver Award for Technology Innovation at Hanford. Knowledge of the prevailing flow regime during emergency venting of a runaway chemical reaction is essential in order to determine a realistic but safe emergency relief system design. It is not possible to predict the foaming behavior from physical properties alone. Since flow regime characterization methods for actual runaway conditions are not available, the DIERS practice has usually been to design for “foamy” conditions, i.e. homogeneous vessel conditions, which is a conservative assumption. Considering that the occurrence of “foamy” versus “non-foamy” conditions is very sensitive to impurities, minute changes in concentration levels and other factors, the flow regime characterization needs to be performed under actual runaway conditions coinciding with the relief venting process. 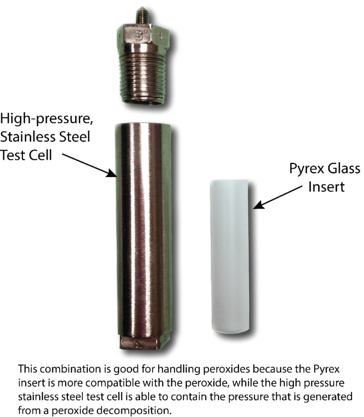 The flow regime detector sensor is comprised of a small immersion heater and an attached thermocouple that is positioned in the upper free board space of the test cell. (For Flow Regime determination tests, the test cell is only about 1/3 full). Prior to externally heating the chemical sample, power is supplied via an auxiliary control box to the internal heating coil to establish an elevated (baseline) sensor temperature. This baseline temperature should be well above the anticipated boiling (tempering) temperature of the sample. The detector operates on the principle that if the flow regime following the onset of boiling is non-foamy, then the detector thermocouple (TC2) will continue to measure a temperature well in excess of the sample temperature (TC1). Fauske & Associates, LLC (FAI) offers a Flow Regime Detector (FRED) for use in conjunction with the ARSSTTM and VSP2TM calorimeters to distinguish between foamy and non-foamy runaway reactions. Relief systems for non-foamy systems may be more realistically designed by treating the two-phase discharge flow as churn-turbulent rather than homogeneous. See our Adiabatic Calorimetry & Relief System Design page. 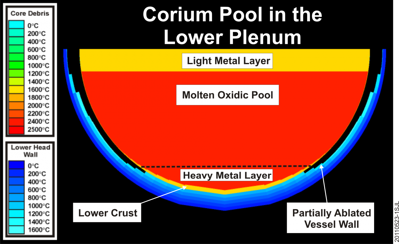 The Modular Accident Analysis Program (MAAP) Version 4 and 5 - an Electric Power Research Institute (EPRI) owned and licensed computer software - is a fast-running computer code that simulates the response of light water and heavy water moderated nuclear power plants for both current and Advanced Light Water Reactor (ALWR) designs. It can simulate Loss-Of-Coolant Accident (LOCA) and non-LOCA transients for Probabilistic Risk Analysis (PRA) applications as well as severe accident sequences, including actions taken as part of the Severe Accident Management Guidelines (SAMGs). There are several parallel versions of MAAP4 for BWRs, PWRs, CANDU designs, FUGEN design and the Russian VVER PWR design. Originally developed by Fauske & Associates, LLC (FAI) as part of the Industry Degraded Core Rulemaking (IDCOR) program, FAI has developed and maintained the code under the sponsorship of (EPRI) and the MAAP Users Group (MUG). MAAP5, MAAP4 and its predecessor, MAAP3B, have been used by the nuclear industry throughout the world for more than two decades as an engineering tool to support PRA and severe accident analysis. MARSTM software was created by Fauske & Associates, LLC (FAI), a Westinghouse affiliated company, under the Westinghouse/FAI Quality Assurance (QA) program, and has been in use by customers for nearly 20 years. The MARSTM software suite uses engineering software to predict future plant conditions much faster than in real time, predicting many hours ahead in just a few minutes. MARSTM can operate either online or offline. In the online mode of operation, the system gathers information from the plant process computer (or related system) to obtain a snapshot of the plant conditions. This snapshot includes information such as temperatures, pressures and water levels throughout the primary, secondary (for pressurized water reactors) and containment systems. 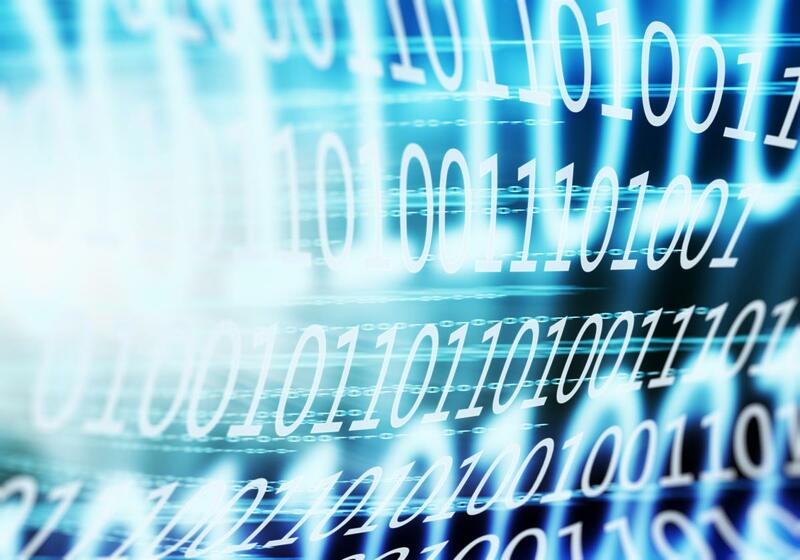 The MARSTM software suite uses the Modular Accident Analysis Program (MAAPTM) along with customized and industry-standard software to support the MARSTM applications. MAAPTM is a product of the Electric Power Research Institute (EPRI) developed by FAI under the Westinghouse/FAI QA program. MAAPTM performs detailed simulation of plant conditions, including severe reactor accident behavior, core melt, and fission product release and transport. The MAAPTM code has been used extensively throughout the world to perform Level 2 probabilistic risk assessments as well as support plant activities, and it is regularly used to address emergent issues. The MAAPTM models are specifically tuned to represent nuclear power plant configuration and emergency systems. MAAPTM QA includes peer review and validation against experiments and plant transients. The MARSTM software suite provides the user with an engineering tool to evaluate the current and potential future plant states. The MARSTM predictors can, for example, model the loss of a given safety system to determine its effect on overall accident progression. The predictors act as an educated “crystal ball” to look into the future of the plant state, including the ability to model operator actions per plant procedures. The ability to use online or offline plant data provides a robust tool to properly assess control and mitigation of upset conditions along with the ability to forecast potential radiological consequences. MARSTM provides an educated evaluation as to whether it is better to shelter or evacuate during a potential radiological consequence. The first MARSTM suite was developed in 1987 in the United States. Subsequent to the initial development, MARSTM projects have been developed for the Far East and Europe. The most active (and still current) MARSTM installation started in 1992 with Consejo de Seguridad Nuclear (CSN), the Spanish nuclear regulatory agency, based in Madrid, Spain. CSN now has active online MARSTM models installed for all operating Spanish nuclear power plants. Please see our MAAP page. 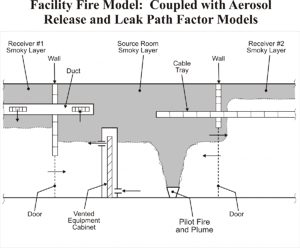 Fauske & Associates, LLC (FAI) created its PrEVent software to allow users to implement practical emergency vent sizing designs utilizing industry recognized methodology including the Leung Omega method, Fauske Gas/Vapor method and Fauske General Screening method. The software applies DIERS methodology for reactive chemistry. This methodology was designed in conjunction with the VSP2 and is a great companion to any low phi factor adiabatic calorimeter. PrEVent handles gassy, hybrid and vapor systems for reactive scenarios and can also accommodate deflagration venting as well as fire load sizing (API 520/2000 and NFPA 20). The modern user interface features clear navigation, logical tabs and intuitive drop down menus that take advantage of cutting edge Windows programming techniques for a crisp seamless user experience. It is available as a standalone Windows application, or as a Silverlight 4 based web application supporting a wide-range of platforms including all major browsers on both Mac OS X and Windows – Internet Explorer, Firefox, Safari and Google Chrome. The streamlined interface allows users to make changes to input values "on the fly" and see the results updated immediately. This is convenient for parametric studies, such as varying the batch size to see how much reactant will "fit" within a particular vessel/relief installation. Input parameters, including vessel geometry, reactant properties and adiabatic reaction rates at venting, are conveniently entered using simple drop down windows and saved for later use. PrEVent is the latest version in a line of vent sizing code solutions designed to be quick and easy to use, requiring many fewer physical properties than other programs. There are many bench top magnetic stirrers on the market today however the majority of them lack the capability to stir viscous or multiphase systems. As a means of bridging this gap in capabilities, Fauske & Associates, LLC (FAI) developed our Super Stirrer™ to support stirring operations under both high temperature and high pressure conditions, as well as provide reliable stirring for viscous and multiphase mixtures. FAI offers the Super Stirrer™ in two forms: as a benchtop unit for laboratory use and also as remote stirring unit for operation in caustic environments. Fauske & Associates, LLC's (FAI) Vent Sizing Package 2™ (VSP2™) is a low thermal inertia adiabatic calorimeter used for process hazard characterization that utilizes state-of-the-art DIERS technology to obtain critical upset process design data. It is the commercial version of the original DIERS bench scale apparatus. At FAI, we not only utilize the VSP2TM in our fully equipped hazards laboratory but we also manufacture and sell the calorimeter for use by our clients. Its versatile and innovative design allows the VSP2TM to simulate upset (abnormal) conditions which might lead to a runaway chemical reaction (e.g. loss of cooling, loss of stirring, mischarge of reagents, mass-loaded upset, batch contamination, fire exposure heating, etc). Resulting temperature and pressure rise rates are directly scalable since it is a low thermal inertia (phi-factor) apparatus. 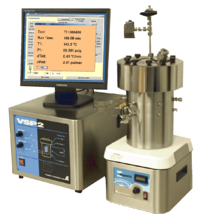 The VSP2TM typically utilizes a sample size of 40-100 grams in a lightweight metal test cell with a volume of approximately 120 ml. The test cell is surrounded by a heater which is used to maintain adiabiatic conditions during an experiment. This test cell and heater assembly is placed in a 4L containment vessel. Test are typically performed as a closed system, so that vapor pressure data can be measured. The VSP2TM utilizes established DIERS technology to identify and quantify process safety hazards so they can be prevented or accommodated by process design. Test data includes adiabatic rates of temperature and pressure change which, due to the low thermal inertia, can be directly applied to process scale to determine relief vent sizes, quench tank designs and other relief system design parameters related to process safety management. Adiabatic data obtained with the VSP2TM can be used to characterize reactive chemical systems and consequences that could occur due to process upset conditions. FAI has also created the PrEVent software to allow users to implement practical emergency vent sizing using industry recognized methodology. It applies DIERS methodology (including the Leung-Omega and Fauske methods) for reactive chemistry and API 520/2000 or NFPA 30 for non-reactive systems.